The Education Committee will source speakers and content for ADRP webinars and participate during webinars as the guest moderator or to help engage the audience in a vigorous discussion. Educational resources include past webinars, conference presentation slide decks and other documents contributed by ADRP members. This subscriber-only content is available only to current ADRP subscribers. Access ADRP Educational Resources here. The Education Committee meets via teleconference every 6 to 8 weeks with committee member assignments distributed during the interim. Committee members are expected to attend a minimum of 75% of committee meetings and actively contribute in a sub-committee. 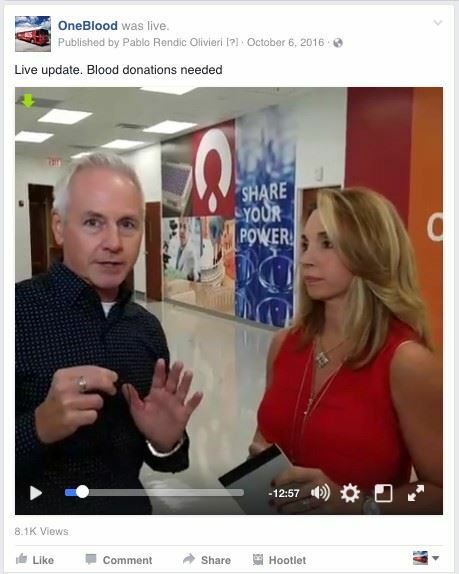 The Education Committee coordinates webinars, like the one hosted by OneBlood in FL on their successful use of Facebook Live to engage donors.